When the 3 Connolly brothers make their way from the silver mines of Montana to the goldfields of the Klondike they hadn't reckoned on having to deal with bigwig Jacob Hopkins and his schemes. Josie (Pat Shortt) has spent 20 years as the caretaker of a crumbling petrol station in small-town Ireland. Despite loneliness and the fact that his neighbours treat him as a figure of fun, he is always good natured, absurdly optimistic and, in his own peculiar way, happy; he has his place - it might not be great, but it his story. Garage is the story of Josie hapless search for intimacy over the course of a summer which sees his little niche threatened and his life changed forever. You’re Ugly Too was written and directed by Mark Noonan and is his debut feature film. The film stars Aidan Gillen (Game of Thrones) as Will, who is released from prison on compassionate leave to care for his niece Stacey (Lauren Kinsella; Albert Nobbs), after the death of her mother. For thirty-five years, Aisling and Brendan have been married. For thirty-five years they’ve lived together in Donegal. For thirty-five years a gnarled cherry tree has stood watch beside their house. Until one morning, their new neighbour cuts it down. While serving a sentence for assault in Wheatfield Prison, young prisoner Eric Boylan began channeling his anger and frustration into one of his childhood passions: painting. Now that he’s been released, Eric has set out to pursue a career in fine art - while attempting to navigate the obstacles of life as an ex-prisoner. Craft, design, sport and passion all come From Ash. A portrait of Paddy Smith, an Irish Blues musician who used music to conquer his demons. A short comedy set in modern Ireland that follows the attempts of a pious doctor to uncover his wife’s suspected affair, but instead is confronted by the rigidity of his religion, the boundaries of his love for his daughter, and his obligation to resuscitate her lover’s husband. and of the Holy Euro. Pat (Jon Kenny) is a retired postman who still goes on his daily rounds in the local village. The community love him, but the bullying Mangon (Jack Walsh) wants to put a stop to the pretence. Farmers, Joanne Deery and Laura Grant love ploughing. They both come from rural farming backgrounds and both are highly competitive. Laura is a young student from Co.Offaly, Joanne is a working mother of three from Co.Monaghan. Joanne has earned the title three times in a row but Laura's aim is to become Ireland's youngest Queen. He is one of Ireland's great salmon fishing guides, but if the salmon stocks continue to decline, he may be one of its last. Spiorad na Samhna is a short film about the origins of Ireland's biggest Hallowe'en Carnival in Derry, during the Troubles in the 1980s. It also traces the origins of Hallowe'en from the ancient Celtic festival of Samhain. Violet is the dark, cautionary tale of a young girl who despises her reflection. Tired of the abuse, Violet's reflection decides she's not going to take it anymore. All is well in the Prendergast home. Or, at least, that is what Jonathan Prendergast would have you believe. But his relationships with his wife and teenage daughter- and his own sanity - are put to the test when he becomes maniacally obsessed with warding off his teenage daughter's new boyfriend. The remarkable survival story of Dr. Aidan MacCarthy and his family's search for the man that gave him a samurai sword from the ashes of Nagasaki. A lost film until the 2013 discovery of a 35mm nitrate print at Harvard University, Robert Flaherty’s 1935 short film Oidhche Sheanchais offers a disarming and fascinating distillation of his ardent belief in cinema as a mythopoeic art and folkloric tradition. ‘Being AP’ is a feature length documentary which follows AP McCoy as he pursues his 20th title. Set against the inherent drama and theatre of National Hunt racing, this intimate but epic film follows an extraordinary man as he faces up to the ultimate decision. Even if you’ve never been to a race course, this fascinating portrait will engage, entertain and move you. OLDER THAN IRELAND is a landmark documentary that tells the story of a hundred years of a life as seen through the eyes of thirty Irish centenarians. Directed by Alex Fegan, OLDER THAN IRELAND features thirty men and women aged 100 years and over. Often funny and at times poignant, the film explores each centenarian’s journey, from their birth at the dawn of Irish independence to their life as a centenarian in modern day Ireland. OLDER THAN IRELAND’s observational style offers a rare insight into the personal lives of these remarkable individuals. Reflecting on such key events as the day they got their first pair of shoes, the thrill of their first kiss, from the magic of their wedding day to the tragic loss of their loved ones, these centenarians have lived through it all. Having witnessed a century of immense social, political and technological change each centenarian has a unique perspective on life and its true meaning. 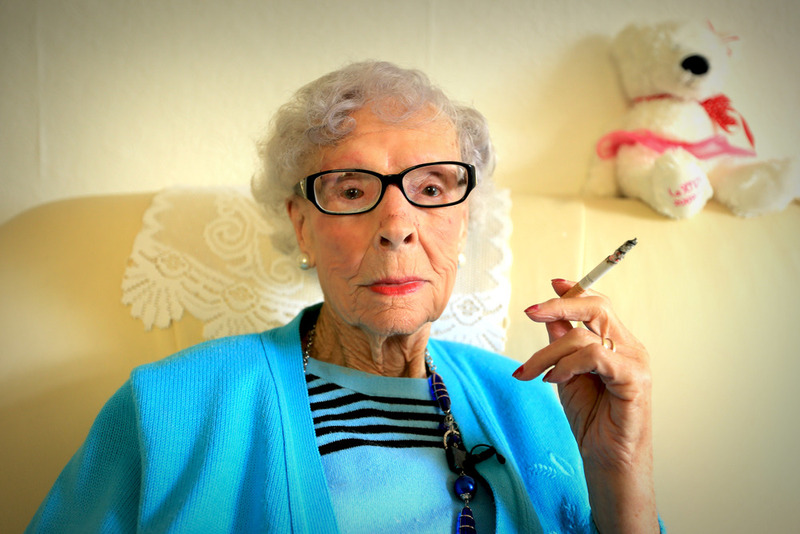 From the oldest Irish person ever on record, 113-year-old Kathleen Snavely to Ireland’s oldest man, 108-year-old Luke Dolan we meet a colourful cast of characters from all walks of life from the four corners of Ireland. These centenarians truly are OLDER THAN IRELAND, they are our living history and these are their extraordinary stories. Academy Award winning Director, Murray Lerner explores Irelands seminal rock band ‘Taste’ with unseen footage from the trio’s now legendary performance at the Isle Of Wight Festival 1970. Martin J. Walsh took his seat as the 54th mayor of Boston in January 2014. Narrated by his mother, Mary Walsh, this is the inspirational story of the hardships overcome and the familiar immigrant story, that drove Martin J. Walsh to take on the biggest battle of his political career and succeed. Filmed over six years, Unbreakable is the deeply personal story of a couple rebuilding their lives after a traumatic accident. After becoming the first blind person to race to the pole, adventurer Mark Pollock proposed to his girlfriend Simone George and they planned their summer wedding. But just four weeks before they were due to be married, a freak fall from an upstairs window left Mark paralysed from the waist down. Unbreakable tells the story of how Mark and Simone rebuilt their lives and work together to find a cure for spinal injury. Cumann na mBan- Mná na Réabhlóide (Women of the Revolution) reveals the largely untold story of an extraordinary group of Irish revolutionary women during the turbulent years 1914 to 1923. Much of the work and activities of these heroic women has been forgotten or overlooked, their organisation was neutralised by former colleagues in arms who became the rulers of the new Irish Free State in 1923.This documentary provides the opportunity to bring the contribution of these nationalist women, to the Independence struggle, fully into the light. Narrated by former President of Ireland Mary McAleese. Director Mark Noonan in person.